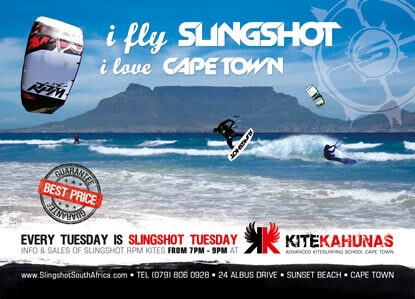 Information and Sales of Slingshot kites with best price guarantee. Take the R27 towards Table View. Sunset Beach is located just before Table View on the left. 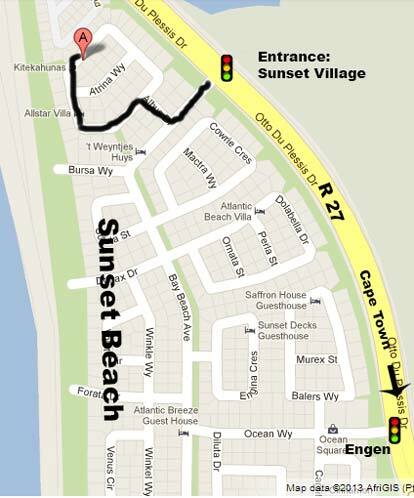 There are two entrances to Sunset Beach: Do NOT take the first one at the Engen garage, continue straight instead and take the next left at the traffic lights where the sign says "Sunset Village". Then take the first right and you approach Albus drive. Take a left and follow the road until you reach number 24.